The MTHS/EHMS Library continues to be a hub of learning and activity. This year we welcomed the return of library technicians. With two more adults in the building, the library was able to offer more assistance to students and more events as well as tackle some much needed projects. 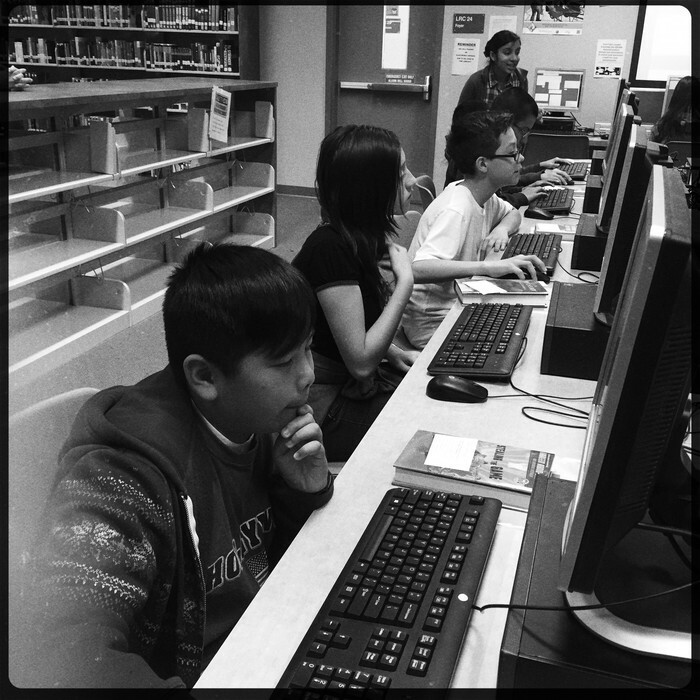 Teacher librarians introduced students to Google Drive and Noodle Tools. Noodle Tools is a wonderful application to assist students with collecting and organizing information and citing the resources they use for research. Google Drive allows students to create products from word documents to slide shows than share it with their teachers. 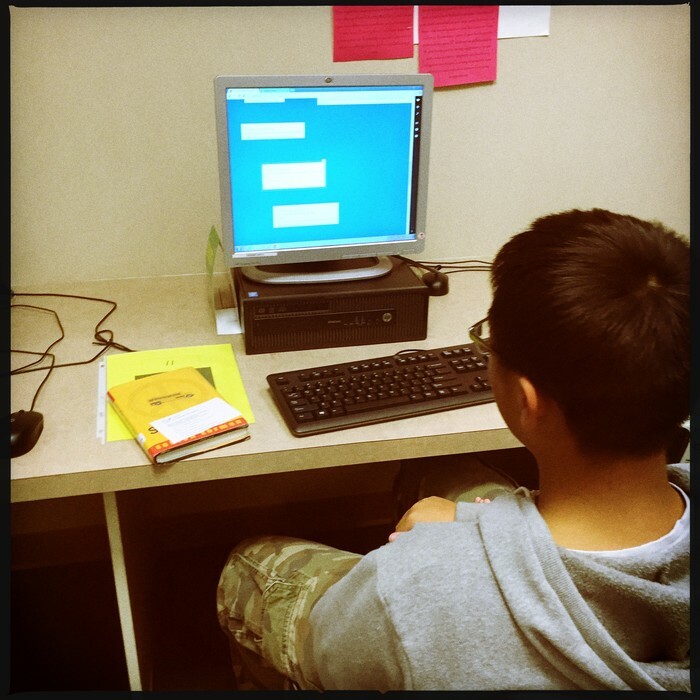 This year every student was provided with an Google account through our school district, and librarians played an important role in instructing students how to utilize this great tool. In April, our library underwent construction to expand our two computer labs to accommodate 40 students. Data and electrical outlets were added in April and computer tables and new printers arrived in May. Additional computers will arrive this summer. 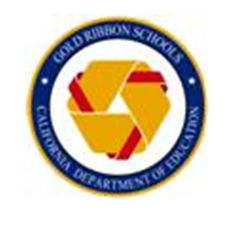 We will begin our 2015-2016 school year ready to meet the research needs of our students. 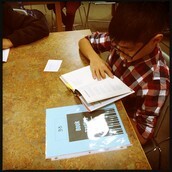 All 7th-grade students participated in a library orientation through their English Language Arts classes. Eighth-grade English Language Arts classes (Daniella Hill, Jennifer Jenkins, Tami Nelson, Camille Piper and Thamesia McNeil) conducted research on college and careers during first and second terms, then returned to the library to research the Holocaust and create either a poster or slide show using Google Slide. Career Adventuring classes under the direction of Jeff Dresser visited the library to explore careers using California Career Zone. AVID classes taught by Tracy Christopher-Schilling and Lonny Villalobos visited the library and participated in a more in-depth library orientation in the form of a scavenger hunt. 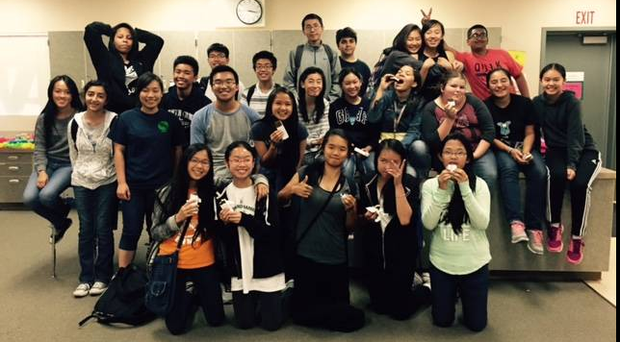 Louie Corpuz's 7th-grade Science classes conducted research on extinct species and viruses. Eighth-grade Physical Science classes taught by Frances Mosley visited the library to use My Plate to calculate their calories and learn about healthy eating choices. Annelise Kinney's 7th-grade English class researched ancient civilizations and the reasons for their collapse. This year I visited some classrooms to conduct research lessons on Chrome books. Jennifer Jenkins and Amy Cima invited me into their classrooms to assist with lessons conducted on Chrome books. 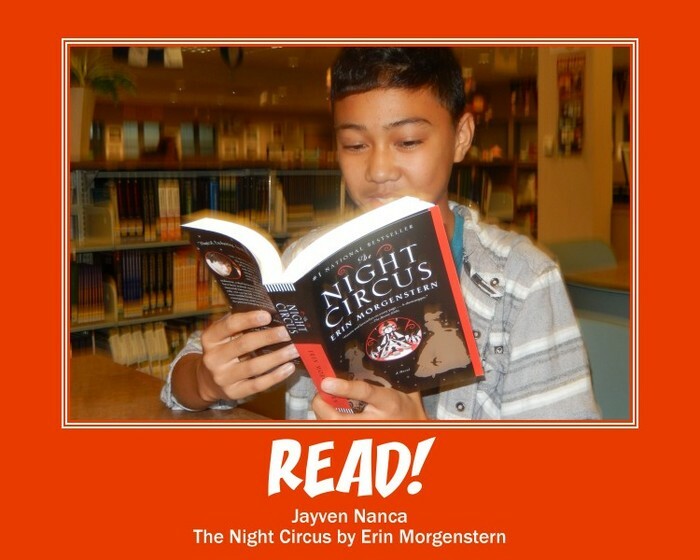 David Baraza and Sharae Green brought their 7th-grade English Language Arts classes to the library regularly for Book Talks and to select independent reading books. 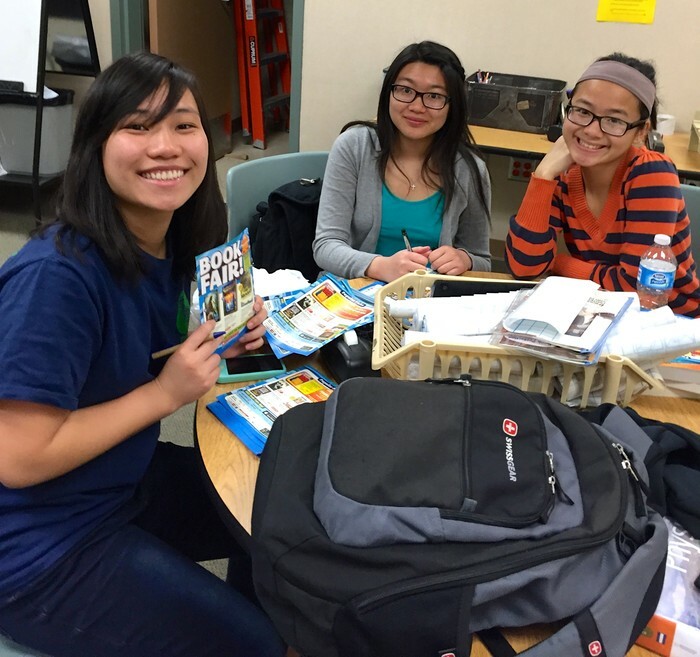 Mr. Baraza's classes participated in a Book Tasting activity. Daniel Seymour brought his Independent Living Skills class to the library every other week until he retired. Ryan Morgan continued the tradition for the ILS class but visited every Friday if the schedule allowed. Alison Bliss also brought her class to the library to select independent reading books. We were pleased to discover that the majority of 8th-grade students left our campus this year with established Google Drive accounts. These students won the drawing to be Mrs. White's Next Top Model. Their prize was to pose with their favorite book. Each winner was given a poster and an additional poster was displayed in the library. Mr. Baraza regularly brings all of his 7th-grade English Language Arts classes to visit the library for book talks and independent reading selections. This year I decided to try a new activity that I had read about with his class. Book Tasting involved finding a variety of good reads and setting them out on tables with instructions. Students played a quick game of musical chairs and when the music stopped, they spent seven minutes sampling the book that was at the spot where they stopped. After looking over and reading a bit of the book, students responded to questions about the book and shared their opinions about whether or not they found the book appealing. They shared these on Padlet, an on-line bulletin board application. Students enjoyed the activity and many came back to check out one of the books they either sampled or learned about from a classmate. After the music stops, students sit down with a book for about 7 minutes. They check out the cover, inside the jacket and read a few pages. Students then answered some questions about their time with the book and whether or not they found it appealing. Students offer their opinions about whether or not they would choose to read the book they sampled. This year the library had a total circulation of 16,594 items. September and October continue to be our strongest months for circulation of library materials. 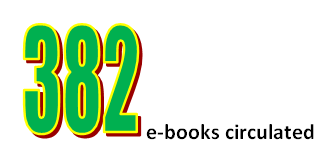 Eight thousand-six fiction books were circulated this year which is down from previous years. The 700s (Arts and Recreation) still maintain the most circulated items title in non-fiction with 4,124 circulations. Biographies follow with 706 circulations. We circulated 1,140 items in multimedia formats such as DVD, videos, and cassette recordings supporting teachers with their instruction. This year we saw a growth in the circulation of magazines with 209 periodicals circulated. Textbook circulation totaled 43,180 texts. *All our results are shared statistics as both the middle school and high school share access to each of these digital tools. Our library opened at 7:30 a.m. and closed at 3:30 p.m. These hours allowed the high school students 30 minutes of time before school and the middle school students 45 minutes of library time. With a dismissal time of 2:45 p.m., EHMS students had an additional 45 minutes of time after school and the high school had 20 minutes of time. This year, because of the return of our library technicians, we opened the library on Thursdays during the school day and during lunches. We did however remained closed before and after school on Thursdays because of our Professional Learning schedules. I continued to present Digital Learning segments at our staff meetings which introduce our teachers to free technology they could use with their students, for presentation, for information and for organization. I continued to work with James Ponder, our School Loop webmaster, to keep our library webpage up-to-date. 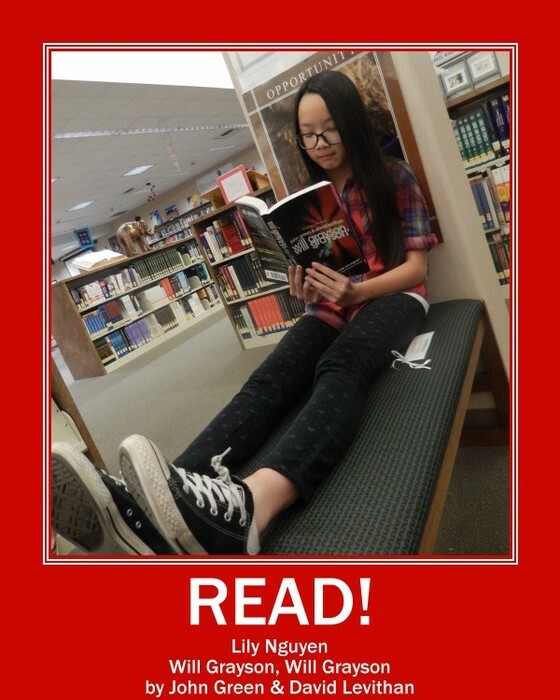 Since he will be retiring this year, Mr. Ponder gave me privileges to edit the library webpage and post library news, and I am adding that to my skill repertoire. The high school provided EBSCO databases for all of our library patrons and their families to use as well as NoodleTools accounts. We added more e-books to our collection and thanks to Frank Cody and Ryan Bartley in Technology Services all of our students have individual accounts which allow them to download our e-books to devices for up to two weeks. 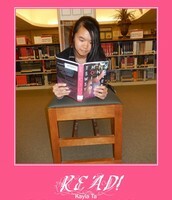 Our databases and e-books provide our students with access to information outside our library walls. This year I provided WebPath Express for use in the library. The Follett service allows students to safely search the Internet for research topics. 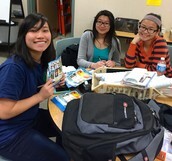 Free Animoto education accounts were provided for students to create thirty second videos. The district provided Google Drive accounts to all students. With the help of Gail Desler, I learned that we could use Google Slide to design a poster to replace the use of Glogster. As teachers and students requested, I instructed and coached students in the use of these educational technology tools. 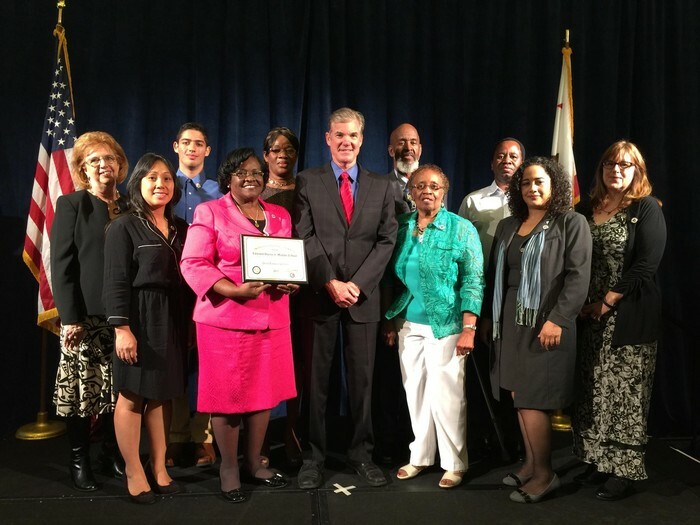 Our liaison with the Sacramento Public Library continues to flourish. Elsie Mak of the Elk Grove SPL branch provided us with e-cards to have access SPL databases and homework help which I introduce during our first Parent University session. She even personally delivered SPL library cards for students who had signed up during September's Parent University to our campus! She attends our Parent University's Readapalooza in November to promote SPL services and returns in May to sign students and staff up for the SPL summer reading program. We continued to notify parents and guardians of overdue materials with mailings sent in February and April. Other ways we notified students were through School Loop mail and news, report card holds and the Library No Activities List. Our library technicians were also able to make phone calls to the families of students who had many textbooks overdue to encourage them to return these items. 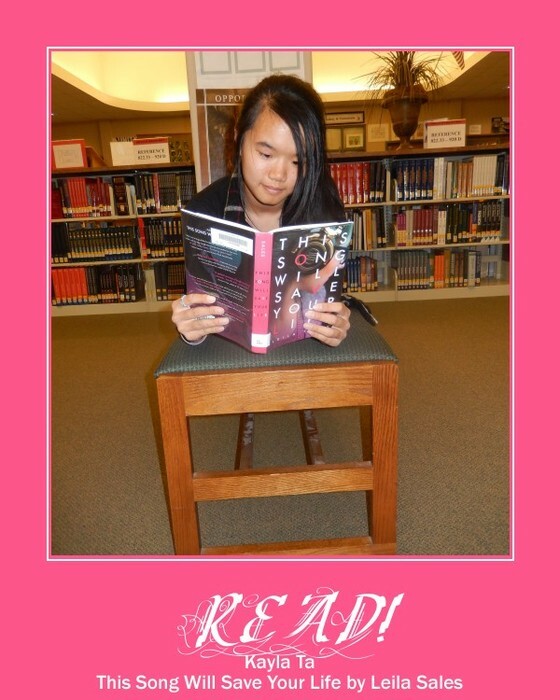 The EHMS Library is staffed with a full-time credentialed teacher librarian and a part-time library technician. 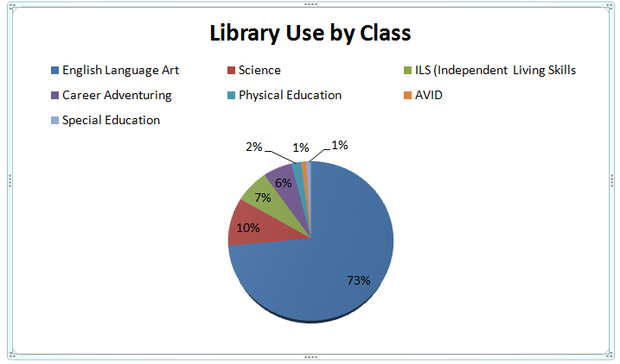 We share the facility with Monterey Trail High School Library giving our students access to two full-time librarians, one full-time library technician and one part-time technician. Our library was more organized and welcoming this year thanks to our hardworking library technicians. 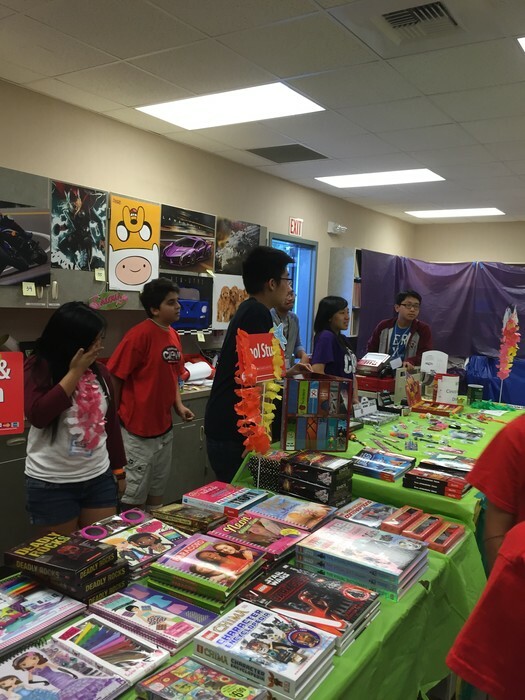 Our volunteer student Book Crew planned, organized and ran another successful Scholastic Book Fair. Their efforts helped us raise enough money to add more books to our library collection and purchase WebPath Express and Grolier On-line Encyclopedias. Thank you for all your hard work Crew! Prepping for the Book Fair. 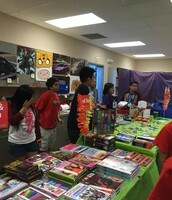 Book Crew running the fair. 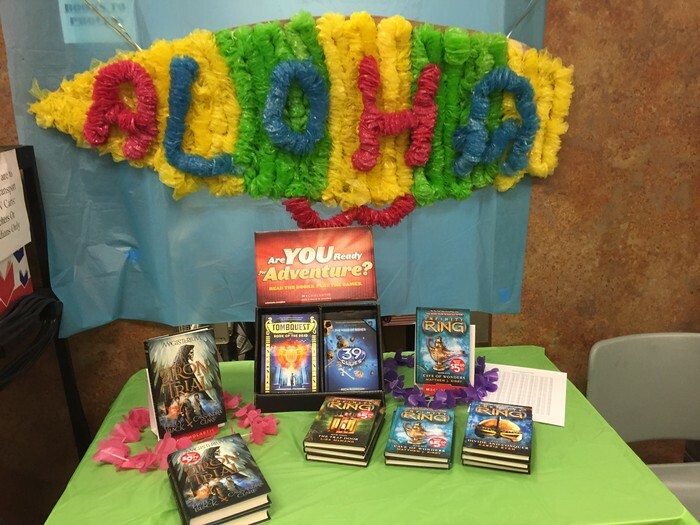 Student-created decorations for our Hawaiian-themed Book Fair. 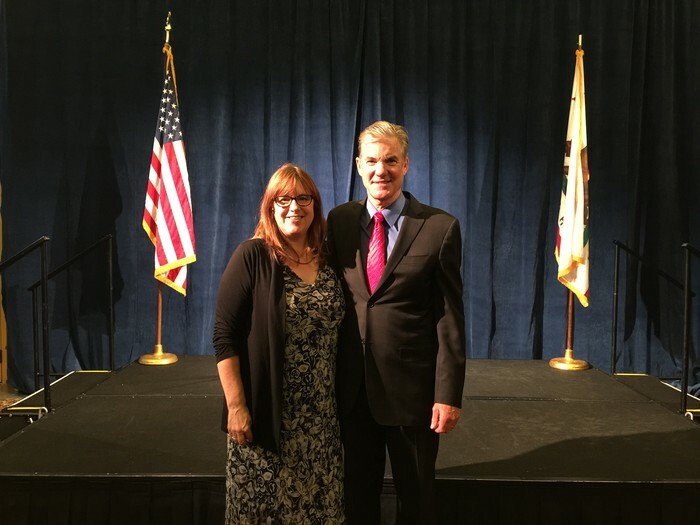 Attended California School Library Association's Centennial Conference in San Francisco in February. Learn more about Guided Inquiry Research and the possibilities of this method supporting students to become stronger researchers, writers and critical thinkers. Continue to work toward the goal of providing individual Destiny account access for students and staff. Volunteer as a pilot school to test system and establish procedures if necessary. Learn more about Google Classroom and other Google applications. Share this knowledge with colleagues and assist them with applying this knowledge to Chrome book use in the classroom. 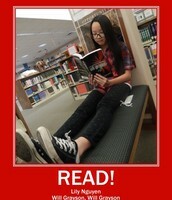 Provide more events in the library to promote reading, research and the safe use of technology. Continue to share technology tools and research strategies with staff through time at staff meetings, department meetings and workshops. Promote e-book collection and WebPath Express in addition to our databases with students and their families at Parent University. Adapt to providing Library Services on our new A/B schedule. Continue to collaboration with my fellow library colleagues to develop best practices in teaching research and technology use, promoting reading and maintaining quality library services.